A look inside the building reveals the ingenious construction of the windows in the roof. The light is channelled through a glass false ceiling into the waiting areas and offices. If ventilation is required, individual areas of the false ceiling and the ceiling windows can be lifted simultaneously. 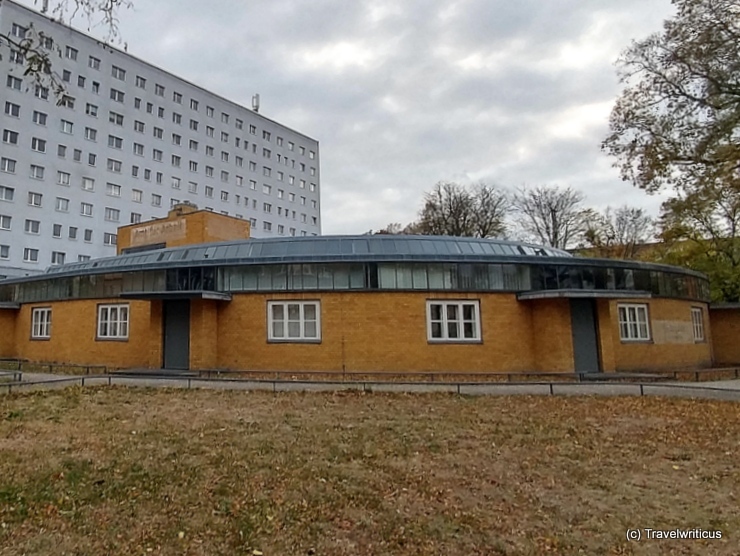 This entry was posted in Architecture, Bauhaus, Walter Gropius, World Heritage Sites and tagged Dessau-Roßlau, Germany, Saxony-Anhalt by Travelwriticus. Bookmark the permalink.